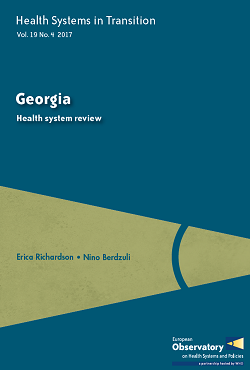 The European Observatory on Health Systems and Policies has released a new health system review (HiT) on Georgia which highlights the progress made in improving access to health care, in protecting the population from the financial risks of inpatient care and in reducing inequalities since the country made the political commitment to providing universal health coverage. The Georgian experience of expanding coverage is particularly valuable for other middle-income countries in the WHO European Region. Ongoing reform plans focus on ensuring the quality of medical services, improving the training and regulation of the health workforce, strengthening primary care and public health services, and increasing financial protection – particularly around outpatient medicines.